A Third Classified Growth of the official classification of 1855, Château Palmer is a true star of the Margaux appellation, on the Left Bank of the Bordeaux region. After building its legend on vintages that have become legendary, Château Palmer continues to make history under the direction of the talented Thomas Duroux. 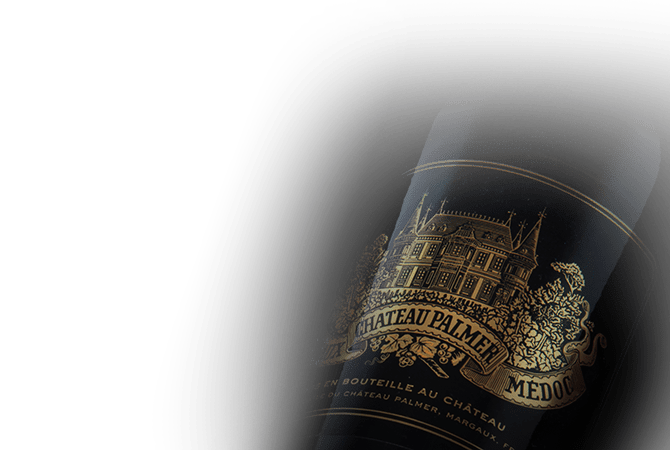 Blessed with an exceptional terroir located in the immediate vicinity of the Gironde estuary, Château Palmer is rather unusual for the Médoc, with a high proportion of Merlot (47%), complemented by a equal proportion of Cabernet Sauvignon (47%) and some Petit Verdot (6%). The core philosophy of Château Palmer is based on a simple desire: to reveal the pure expression of a complex terroir. In quite the forward-looking approach, Château Palmer was one of the pioneers to introduce biodynamics to their vineyards in 2008. Château Palmer is above all a unique style, exceptional in the Margaux appellation. Endowed with immense class and defined by an exemplary precision, the wines of Château Palmer present an aromatic bouquet of great nobility. The character of Merlot inevitably emerges through a brilliant expression of fruit. A silky texture upon perfectly extracted tannins, the palate is quite charming in youth, expanding significantly over the years. A great Margaux indeed.